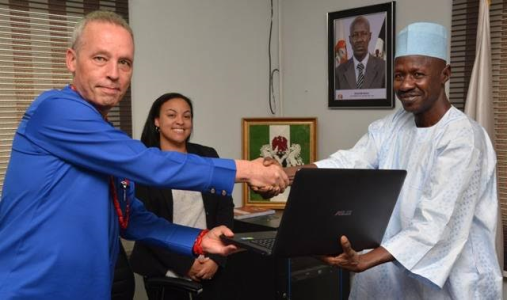 The United States Government, today donated six Laptop computers to the EFCC during a courtesy visit to the Commission's Headquarters in Abuja. "We are not unmindful of your contribution to the fight against economic and financial crimes in Nigeria. 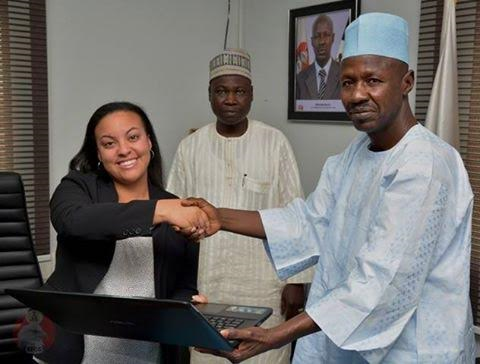 The United States Government therefore donates this Laptops to your organization to support your Mission” she said.